The influence and story of Mary Bent Blanchard’s life is, unfortunately, left largely untold. 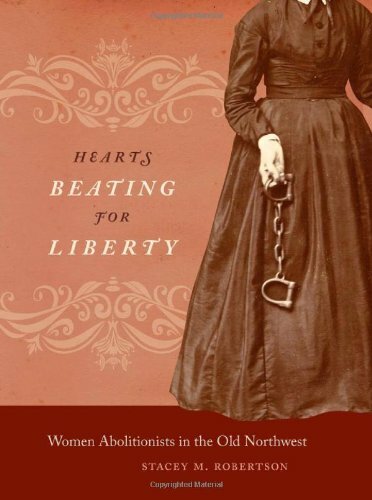 However, Stacey Robertson’s recent book “Hearts Beating for Liberty: women abolitionists in the Old Northwest” helps place Mary’s life into context with other activist women of her day. Robertson’s book challenges many of the traditional histories of abolition that often portray the story of the work to abolish slavery as a solely Eastern cause. 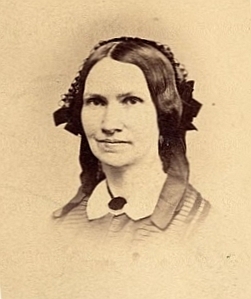 She shifts the focus to region known then as the Northwest and shows how the women of Ohio, Indiana, Illinois, Michigan, and Wisconsin helped build a vibrant antislavery movement. Other writers have sought to do the same for the history of the Underground Railroad. Robertson, Oglesby Professor of American Heritage at Bradley University, argues that the Old Northwest had a complicated history of slavery and racism, but its abolitionist citizens created a uniquely collaborative and flexible approach to abolitionism. These “western” women helped build a local focus through unusual activities that crossed the boundaries of cultural propriety as they plunged into Liberty Party politics, boycotts of goods from slave-states and illegally helped fugitives. The work of these women was done right alongside male co-believers, unlike their Eastern counterparts. Robertson tells the pragmatic work of female antislavery societies as they sought to eliminate racist laws, aid fugitive slaves, and build schools for blacks. These women exemplified the capacity to work together to accomplish significant goals.